1838 Father Josef Rilke born in Schwabitz (Bohemian-Leipa). 1851 Mother Sophie Entz born in Prague. 1873 Josef Rilke and Sophie Entz marry. 1875 René (Karl Wilhelm Johann Josef) Maria Rilke born December 4th in Prague at his parents’ address, Heinrichsgasse 19. 1878 Clara Westhoff born November 21st in Bremen. 1882-1884 Rilke attends Piarist primary school in Prague. 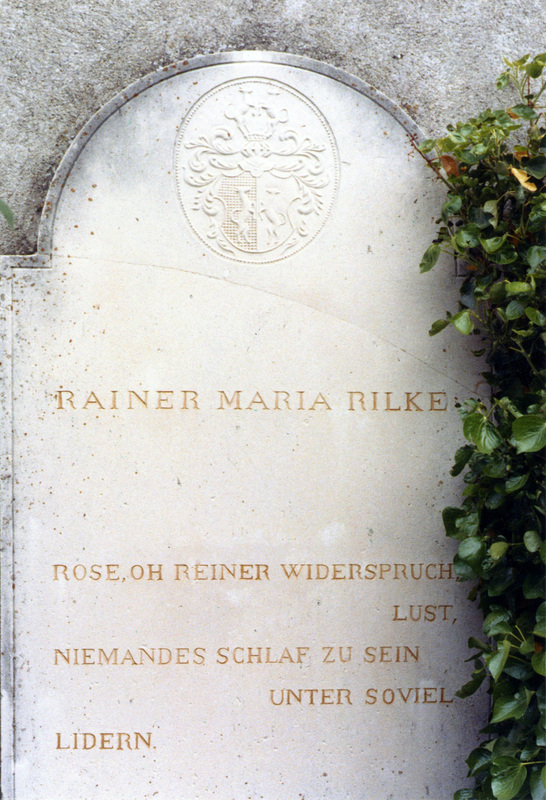 Rilke remains with his mother following his parents’ separation. 1886 Rilke enters the St. Pölten military academy on September 1st and writes his first poems. 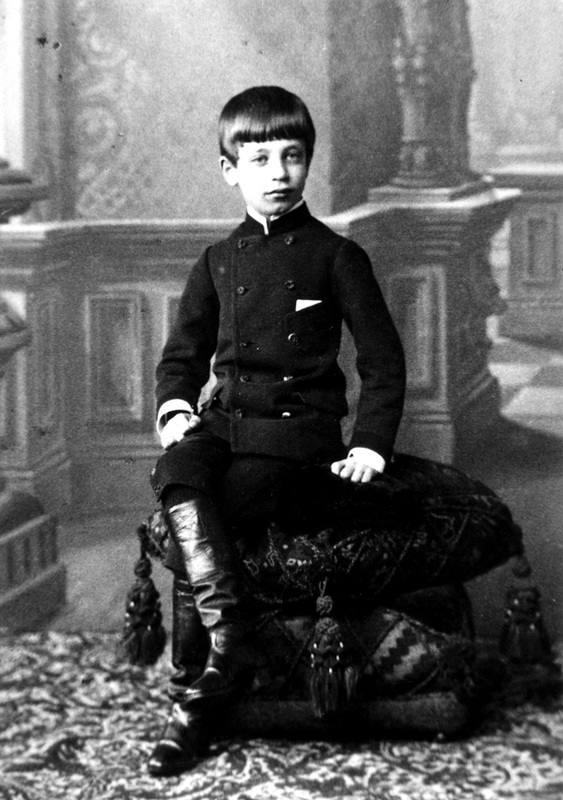 1890 Rilke graduates from St. Pölten and enters the military secondary school Mährisch Weißkirchen. 1891 Rilke leaves Mährisch Weißkirchen due to illness and begins a three-year course of study at Handelsakademie in Linz, which he breaks off mid-1891. 1892 Rilke receives private instruction in Prague in the fall to meet higher education entrance qualifications. 1893 Rilke begins friendship with Valerie von David-Rhonfeld. 1894 Rilke publishes Leben und Lieder (Life and Songs), his first independent book of poetry. 1895 Rilke matriculates with honors. Beginning in the winter semester of 1895/96, Rilke studies art history, literature, and philosophy at the University of Prague (Karls-Universität). He publishes the poetry collection Larenopfer (Offerings to the Lares) and assembles the first volume of Wegwarten (Wild Chicory). 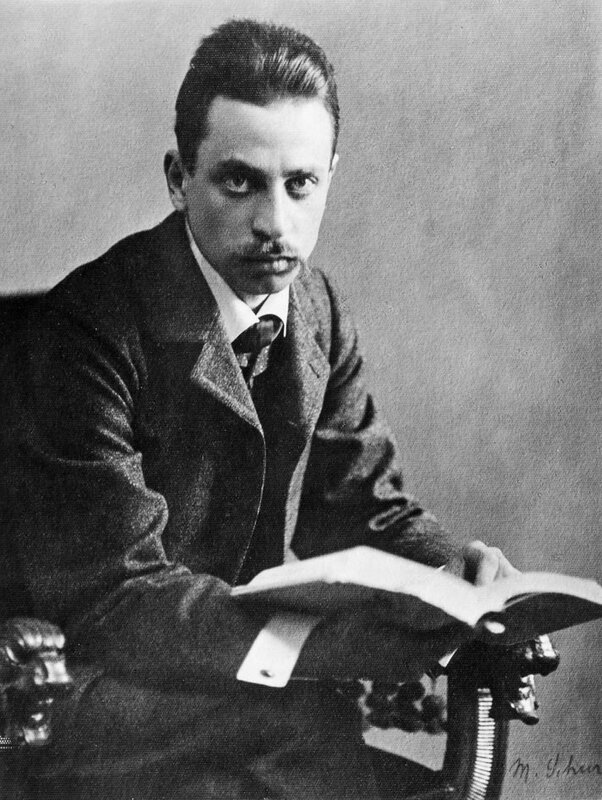 1896 Rilke changes course of study in the summer semester and turns his attention to law and political science. Performance of the drama Jetzt und in der Stunde unseres Absterbens (Now and in the Hour of Our Death). Transfer to the University of Munich (Ludwig-Maximilians-Universität München), where he takes courses for two semesters in art history, aesthetics, and Darwinian theory. 1897 Rilke resides in Munich until the beginning of October. Visits Prague in January, Arco (South Tyrol), Venice, and Merano in March and April, and resides in Wolfratshausen from June through August. In October, he moves to Berlin-Wilmersdorf. Traumgekrönt (Crowned with Dreams) is published. Drama Im Frühfrost (Early Frost) debuts in Prague. 1898 Rilke resides until the end of July in Berlin-Wilmersdorf. During the year he travels as follows. March: Prague (holds a lecture). April-May: Arco, Florence, Viareggio. June: Prague. July: Sopot. Resides beginning in August in Berlin-Schmargendoft. Mid-December through end of year: Hamburg, Bremen, Worpswede. Rilke writes the Florenzer Tagebuch (Florence Diaries) and begins the Schmargendorfer Tagebuch (Schmargendorf Diaries). Advent (Before Christmas), Am Leben hin (On Life’s Way), and Ohne Gegenwart (Not Present) are published. 1899 Rilke resides in Berlin-Schmargendorf. Travels are as follows. March: Arco, Bolzano, Prague, Vienna. April-June: Russia. July: Berlin. August to mid-September: Bibrasberg near Meinungen. Mid-September to end of December: Berlin. Rilke writes the first part of the Stunden-Buch (Book of Hours) in Berlin and continues the Schmargendorfer Tagebuch. In the fall, he produces the first draft of Die Weise von Liebe und Tod des Cornets Christoph Rilke (The Love and Death of Cornet Christopher Rilke). Zwei Prager Geschichten (Two Stories from Prague), Mir zur Feier (In Celebration of Myself), and Die weiße Fürstin (White Princess) are published. 1900 Rilke resides until the beginning of October in Berlin-Schmargendorf. From the beginning of May until August: Russia. End of August to the beginning of October: Worpswede. From mid-October: Berlin-Schmargendorf. He begins the Worpsweder Tagebuch (Worpswede Diary). Geschichten vom lieben Gott (Stories of God) is published (with the title Vom lieben Gott und Anderes). 1901 Rilke resides in Berlin-Schmargendorf through the end of February. In March: Munich, Arco, Riva. Mid-March: Bremen. End of March: Westerwede. Rilke marries Clara Westhoff in Bremen on April 18th. In May: Sanatorium called the Weißer Hirsch near Dresden, and Prague. From June onwards: Westerwede. From the end of September: Schloß Haseldorf in Holstein. From the beginning of October: Westerwede. On December 12th, daughter Ruth is born. In September, Rilke writes the second part of the Stunden-Buch. Die Letzten (The Last Ones) is published. Performance of Das tägliche Leben (Everyday Life). 1902 Rilke resides until the end of August in Westerwede. From the beginning of June to the beginning of July: Schloss Haseldorf. Living from the end of August till the beginning of October in Paris on Rue Toullier, and from the beginning of October on Rue de l’Abbé de l’Épée. Das tägliche Leben and Das Buch der Bilder (Book of Images) are published. 1903 Rilke resides until July in Paris (Rue de l’Abbé de l’Épée). From end of March until end of April: Viareggio. May to June: Paris. July to August: Worpswede, Oberneuland. End of August to beginning of September: Marienbad, Munich, Venice, Florence. Mid-September: Rome (first in the Via del Campidoglio, then in Villa Strohl-Fern). In Viareggio, Rilke writes the third part of the Stunden-Buch. Worpswede and Auguste Rodin are published. 1904 Rilke lives in Rome (Villa Strohl-Fern) until June. From June to December: Denmark and Sweden. From mid-December: Oberneuland. Rilke begins work on Die Aufzeichnungen des Malte Laurids Brigge (The Notebooks of Malte Laurids Brigge). Second edition of Die Weise von Liebe und Tod des Cornets Christoph Rilke is published. 1905 Rilke resides in Oberneuland until February. March to mid-April: Weißer Hirsch near Dresden. End of April: Berlin. May to beginning of June: Worpswede. Mid-June to end of July: Göttingen, Berlin, Treseburg im Harz, Kassel, Marburg. August: Schloss Friedelhausen. Beginning of September: Darmstadt, Godesberg. Mid-September to end of October: living with Rodin in Meudon. End of October to beginning of November: Cologne, Dresden (lecture), Prague (lecture), Leipzig, Cologne. Mid-December: Oberneuland. Das Stunden-Buch is published. 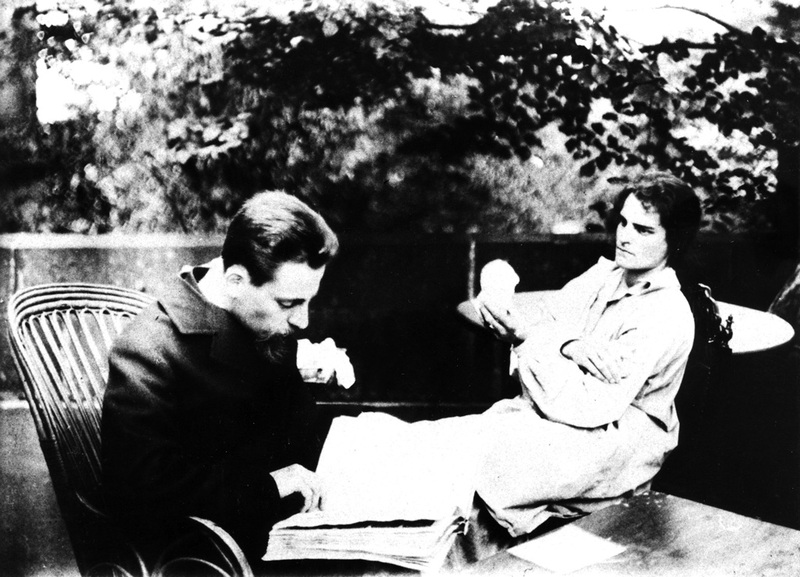 1906 Until mid-May, Rilke lives with Rodin in Meudon. February: Elberfeld (lecture). March: Berlin, Hamburg (lecture), Worpswede. On the 14th of March, Rilke’s father dies in Prague. End of March: Berlin (lecture). From mid-May: Paris (Rue Cassette). From end of July to mid-August: Belgium. Mid-August to months’ end: Godesberg. September: Schloss Friedelhausen. October/November: Berlin. December: Capri. Second, expanded edition of the Das Buch der Bilder is published and first printed edition of Cornet appears. 1907 Rilke resides on Capri until mid-May. He spends the second half of May in Naples and Rome. From July to November: Paris (Rue Cassette). Beginning to mid-November: Prague (lecture), Breslau (lecture), Vienna (lecture). End of November: Venice. December: Oberneuland. Die Neuen Gedichte (New Poems) are published in December. 1908 Until mid-February: Oberneuland. End of February: Berlin, Munich, Rome. End of February through mid-April: Capri. End of April: Rome, Florence. May: Paris (Rue Campagne-Première). From September: in Hotel Biron, Rue de Varenne, in Paris. In November Rilke writes his two requiems – for a friend and for Wolf Graf von Kalckreuth. The second part of Die Neuen Gedichte is published. 1909 Rilke resides through the end of the year in Paris (Rue de Varenne). At the end of May, he travels to Provence. Beginning of September: Bad Rippoldsau. End of September till beginning of October: Avignon. From mid-October: Paris. 1910 Rilke resides through the end of the year in Paris (Rue de Varenne). In January: Elberfeld (lecture), Leipzig, Jena (lecture). End of January to mid-March: Berlin, Leipzig, Weimar, Berlin. Mid-March to mid-April: Rome. End of April: Duino. Beginning of May: Venice. Mid-May to the beginning of July: Paris. July to end of August: Oberneuland, Lautschin, Prague. First half of September: Janowitz. End of September to mid-October: Munich. End of October: Cologne. November: Paris. End of November to end of December: Algiers, El Kantara, Tunis, Naples. Rilke publishes his only novel, Die Aufzeichnungen des Malte Laurids Brigge. 1911 Rilke resides until mid-October in Paris (Rue de Varenne). January through the end of March: Naples, Cairo, trip on the Nile, Helwan (near Cairo), Venice. Beginning of April to mid-July: Paris. July to August: Prague, Lautschin, Janowitz. End of August to end of September: Leipzig, Weimar, Berlin, Munich. End of September to mid-October: Paris. Mid-October: Paris, Avignon, Ventimiglia, Bologna, Duino. End of October through end of year: Duino. 1912 Rilke remains in Duino until the end of May. May to September: Venice. Mid-September to beginning of October: Duino. Second half of October: Munich. November: Toledo. Beginning of December: Córdoba, Seville. From mid-December: Ronda. 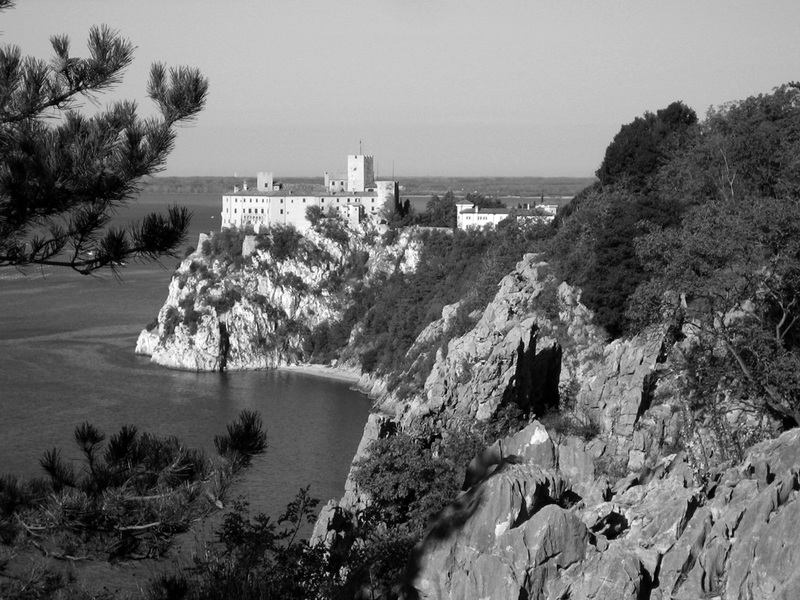 At the Duino Castle, Rilke writes the first elegies and Das Marien-Leben (The Life of Mary). 1913 Rilke stays in Ronda from January to mid-February. Resides from end of February in Paris (Rue Campagne-Première). June: Bad Rippoldsau. July: Göttingen, Leipzig, Weimar, Berlin. First half of August: Heiligendamm (on the North Sea). Second half of August to beginning of September: Berlin. September through beginning of October: Munich. Mid-October: Dresden, Hellerau, Karpacz in the Karkonosze Mountains. From mid-October: Paris. Das Marien-Leben is published. 1914 Rilke resides until mid-July in Paris (Rue Campagne-Première). End of February through end of March: Berlin, Munich, Zurich. End of March to end of April: Paris. End of April through beginning of May: Duino. May: Venice, Assisi, Milan. End of May to end of July: Paris. End of July to end of September: Leipzig, Munich, Irschenhausen. Rilke lives in Munich (Finkenstraße) beginning the end of September. Mid-November: Frankfurt, Würzburg. End of November through the end of the year: Berlin. In the days following the beginning of the War, he writes the Fünf Gesänge (Five Songs). 1915 Rilke lives until mid-June in Munich (Finkenstraße). Beginning of January: return from Berlin. Beginning of February: Irschenhausen. Living mid-June till end of October: Munich (first on Widenmayerstraße, then on Keferstraße). First half of December: Berlin. End of December: Vienna. In November, Rilke writes the fourth Duino Elegy. Die Fünf Gesänge / August 1914 are published in the Insel-Almanach. 1916 Rilke performs military service in Vienna through the beginning of June. He is active beginning in January as a clerk in the war archive. From end of July: Munich (Keferstraße). 1917 Rilke resides in Munich (Keferstraße) until mid-July. Second half of June: Herrenschiemsee. Mid-July: Berlin. August to September: Gut Böckel (Westfalen) as guest of Hertha Koenig. October to November: Berlin. Living from mid-December in Munich (Hotel Continental). 1918 Rilke remains in Munich for the first part of the year (living until the end of May in Hotel Continental, then in the Ainmillerstraße). Mid-September: Ohlstadt, Ansbach. Mid-September through end of year: Munich. 1919 Rilke resides until mid-June in Munich (Ainmillerstraße). Mid-June to end of September: Bern, Nyon, Geneva, Zurich, Segl Baselgia, Soglio, Lausanne, Nyon. End of October till end of November: lecture tour to Zurich, St. Gallen, Lucerne, Basel, Bern, Winterthur. From beginning of December: Locarno. 1920 Rilke lives in Locarno beginning the end of February. March through beginning of June: Schönenberg (near Pratteln). Mid-June to mid-July: Venice. Second half of July: Schönenberg. August to September: traveling in Switzerland. October: Geneva, Bern, Sion, Sierre. End of October: Paris. Beginning of November: Geneva, Basel. Mid-November through end of the year: Berg am Irchel (Zurich). 1921 Rilke remains in Berg am Irchel until mid-May. January: visits to Geneva, Zurich. Mid-May to end of June: Prieuré d’Etoy. Beginning of June: Rolle. End of June: Sierre. Beginning of July: Geneva. Residence from the end of July: Château de Muzot. From this time until his death, Muzot remains Rilke’s permanent residence. 1922 From the end of May until the beginning of July, Rilke is in Sierre. Mid-August through beginning of September: Beatenberg (near Lake Thun). February: Rilke finishes the Duineser Elegien and writes both parts of Die Sonette an Orpheus (Sonnets to Orpheus). At the same time, he writes Brief des jungen Arbeiters (Letter to a Young Laborer) and completes the Valéry translations. Ruth Rilke marries Dr. Carl Sieber. 1923 In June and July, Rilke travels in Switzerland. Mid-August to mid-September: Sanatorium Schöneck bei Beckenried. September: Lucerne, Schloss Malans, Zizers. October: Meilen, Bern. End of December: Sanatorium Val-Mont sur Territet. Sonette an Orpheus and Duineser Elegien are published. 1924 Rilke stays at Sanatorium Val-Mont through the end of January. Second half of June: car trip through the French-speaking parts of Switzerland. End of June to end of July: Bad Ragaz. First half of September: Nyon, Geneva, Lausanne. Beginning of November: Montreux, Bern. End of November: Sanatorium Valmont. He writes many poems in French, including Vergers (Orchards), Les Quatrains Valaisans (The Valais Poems), Les Roses (Roses). In mid-May, Rilke receives Erika Mitterer’s first poetic letter, which initiates a correspondence in poems between Rilke and the young Viennese lyricist. 1925 From the beginning of January to mid-August, Rilke lives in Paris. End of August: Milan. Beginning of September through mid-October: Muzot, Bern, Ragaz, Meilen. Mid-October through mid-December: Muzot. At year’s end: Sanatorium Val-Mont. 1926 Through the end of May: Sanatorium Val-Mont. End of May: Vevey, Lausanne. Mid-July to end of August: Ragaz. September: Lausanne. October to November: Sierre. December: Sanatorium Val-Mont. Rilke works on poems in French and Valéry translations. Vergers is published, followed by Les Quatrains Valaisans. Rilke dies in Val-Mont on December 29th. 1927 Rilke is buried in Raron (Valais) on January 2nd. Volumes I-VI of his complete works are published. 1931 Death of Rilke’s mother, Sophie Rilke. 1954 Death of Rilke’s wife, Clara Rilke-Westhoff. 1972 Death of Rilke’s daughter, Ruth Sieber-Rilke. 1 Pings/Trackbacks for "Rainer Maria Rilke "